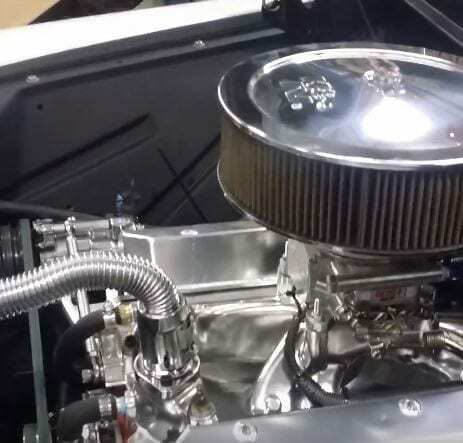 496 Stroker: Basic Info and A Few Advices - 2019 Mechanic Guides! A 496 Stroker engine is based on either a 427 or 454 block. On the 427 you would have to add ¼ to ½” to the 3.76″ stroke and add the same on the 454s 4.0″ stroke. Take note that a standard 454 engine will give you 489 cid. Now before you go and start to scrounge for parts, and machine, grind and assemble all the various components, you should first check out crate kits that are ready to rumble. The BluePrint Engines GM 496 cid 575 hp stroker is a long block engine that comes assembled with a driver side dipstick, square and parallel decked, align-honed main bearing bore and precision machined cylinders that are sonic-tested for thickness. The crankshaft is made from a forged steel alloy, and it uses GM connecting rods with 150,000 psi rod bolts. The pistons are hypereutectic, and the rings are moly alloy. The hydraulic roller camshaft delivers 0.566 in. of intake and exhaust valve lift and the cylinder heads are aluminum rectangular port type connected to the hardened pushrods delivering a compression ratio of 10.1:1. Those are just two options to choose from, the market has many more, and if you can’t afford to buy one, thinking it cheaper to build one, then go ahead. To build a 496 Stroker you will need a 454 block to start off with and believe you me, there are plenty of these hanging around. Sao, now you have the block, it’s time to find the parts and prepare them for converting the 454 into a 496. You can always buy a 496 kit, this saves a lot of time, and most kits come with the parts needed to complete a full transformation. Whatever the choice you take, you will need to add a 4.250-inch stroke crank along with 6.385-inch rods. This alone will increase your displacement to 489 cubes. To reach t5he elusive 496, you need to bore those cylinders by .060-inch over; this will give you the classic 496 cid finish you are looking for. Now, if you have a 454, don’t bother using it as a 454, take the edge off the bore and turn it into a 496, you get so much more out of the engine. Of all the Stroker engines to work with the 496 is one of the easiest to prepare since the base is easy to find, just like creating a 383 out of a 350, you create a 496 from a 454. There are so many 454’s out there, and 496 kits ready to install, you don’t need to spread out on a complete crate kit if you prefer a simple DIY upgrade. Just note, that sometimes a crate kit might seem expensive, but when you consdier the options and add your hours of work and all the compinents that some kits provide, it can sometimes equal out.